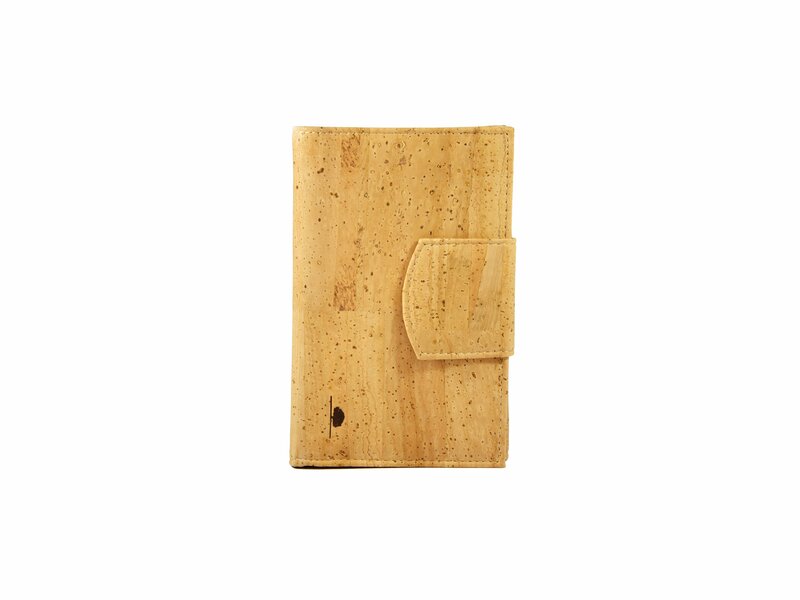 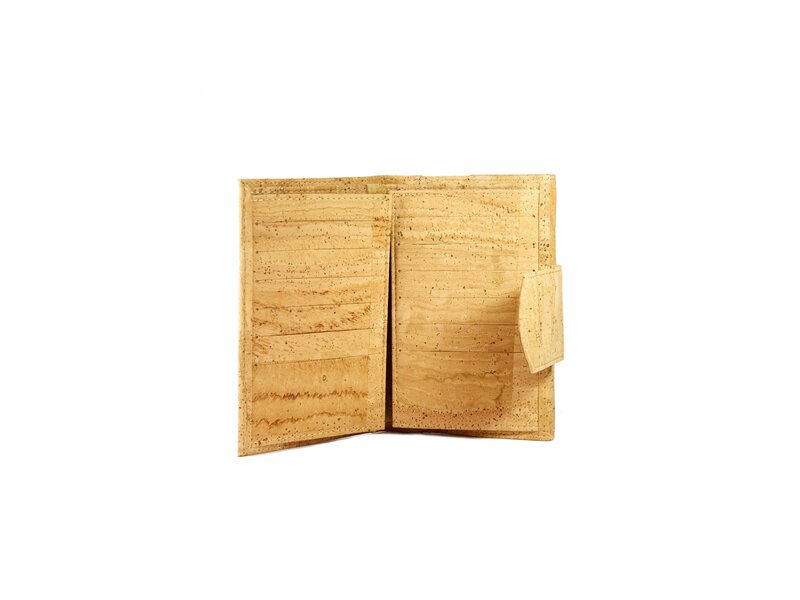 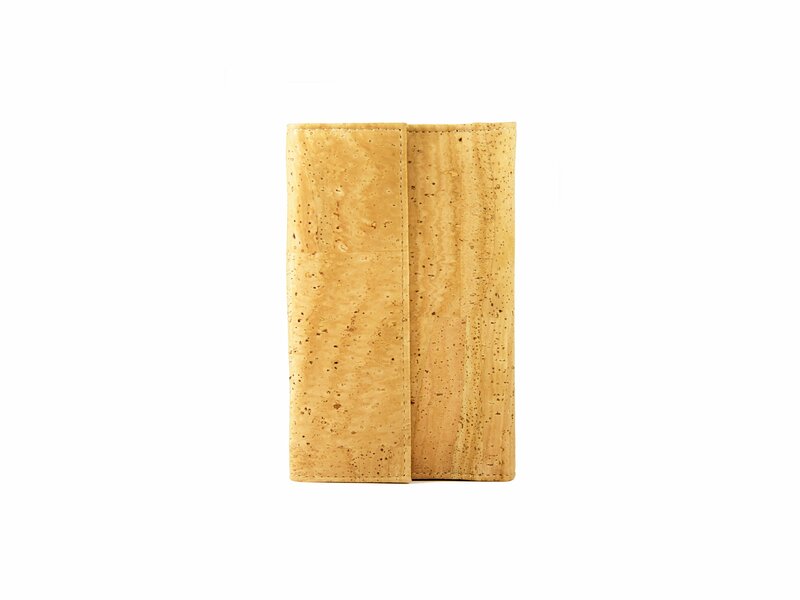 Buy the large folding cork wallet for women! 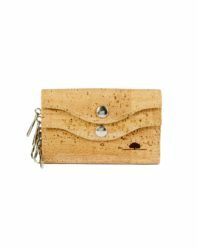 The coin compartment is fastened with a button on the back. In the wallet there is a bill compartment, 4 transparent windows for documents and 12 card slots.